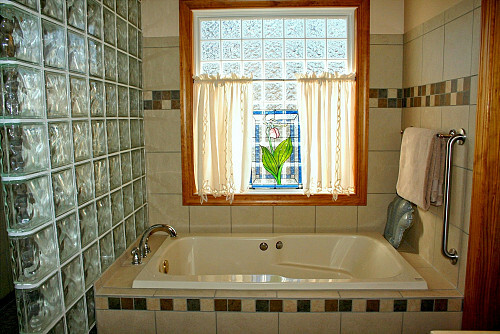 Any home renovation is challenging, but a small bathroom remodel has got to be one of the greatest challenges of all. Combining form and function in a scanty space demands extra-careful planning. But don't worry; the gorgeous results will be worth it. 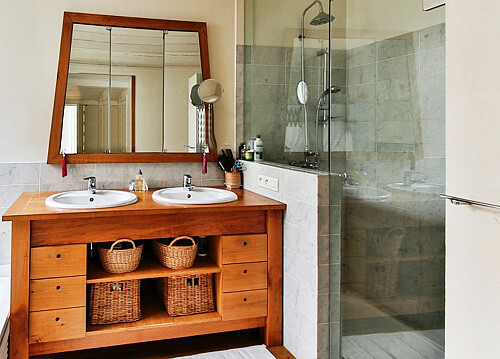 And here's help ... 6 essential tips to make your bathroom remodel a success. Powder room (toilet and sink only) -- 15 sq. ft. Most local building codes specify a minimum of 12.5 sq. ft.
2. Plan your layout carefully. Whatever the square footage of a bathroom remodel, homeowners can cut costs with bathroom ideas that don’t relocate the plumbing stack. And in your below-average-sized bath, the right layout will save you money and space. “Steal” a few extra inches by eliminating a linen cupboard and/or choosing scaled down fixtures. For instance, while a standard bath measures 60x32”, you might want to opt for a more petite tub of only 54x30". 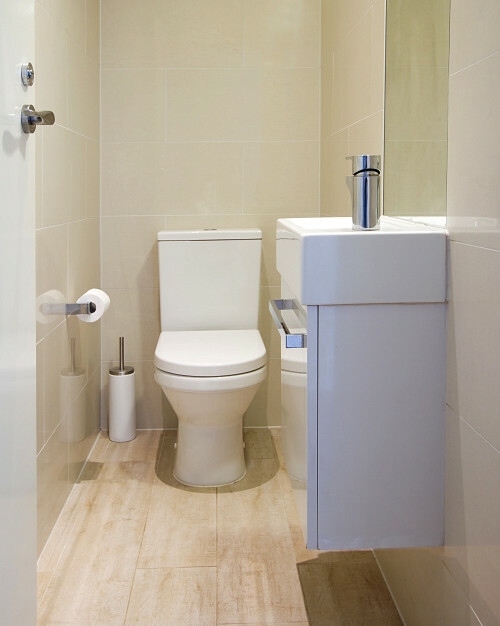 Use walls to their best advantage, by installing a compact floating sink and tankless toilet. Go vertical with storage, too, stacking cabinets and shelves up to the ceiling. 3. Choose the right doors. In a small bathroom remodel, clearance is uber important. For your shower, avoid swing doors; go for a simple curtain, sliding door, or half wall instead. Door-less open shelving is more practical than cupboards. Also, space for the bathroom door itself to swing into the room wastes precious square footage. Instead, try the idea I used a few homes ago when faced with a minuscule powder room; I had the door hung so it opened outward rather than into the bath. This made the powder room less cramped and easier to clean -- but you did have to be careful when opening the door! 4. Make laundry machines part of the plan. 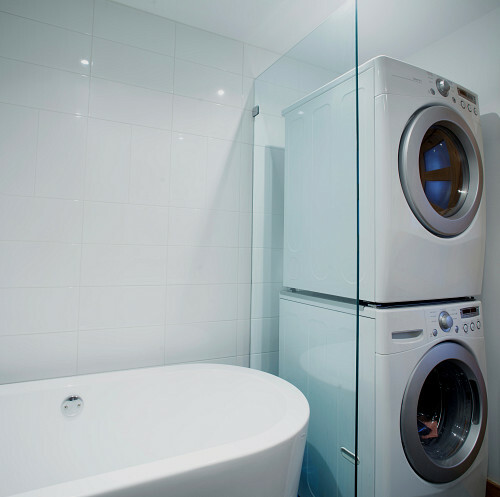 All too often, small bathroom makeovers offer a dual challenge – finding room for the facilities and squeezing a washer and dryer into an already limited space. Stacked, a washer/dryer combo forms a column 24-27” wide by 27" deep by 70-75” tall, which can be hidden behind a space-saving pocket door or integrated into the cabinetry if you like. To save valuable space, consider a ventless condensation dryer or a combination unit. Install handy pullouts, like a shelf for folding or an ironing board, to streamline laundry tasks. 5. Work out a realistic budget. Do your homework by researching prices before you commit to your small bathroom renovation. Unfortunately remodeling a bathroom of, say, 45 square feet won’t cost half the price of 90, mostly because you'll still need the same basic fixtures and supplies. There are some savings, though. You’ll be buying smaller quantities of certain materials, such as tile. What’s more, you may be able to score a couple of bargains; a cut-price granite remnant could be just the right size to top your modestly sized vanity. 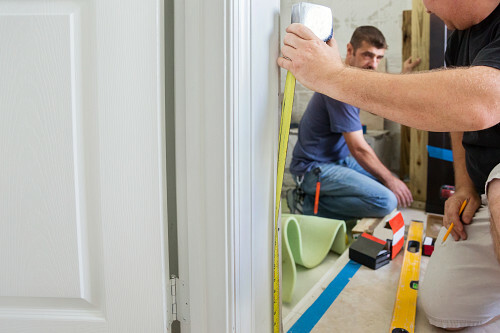 Be sure to allow at least 10-15 percent above the bathroom remodel cost estimate to allow for cutting and overruns. 6. Schedule contractors carefully. 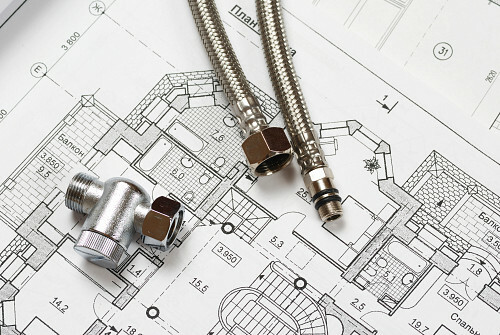 If you’re doing a full bathroom remodel, you’ll be working with several different types of home improvement professionals to get the job done -- plumbers, tilers, electricians, perhaps painters, and so on. There simply won’t be enough space for several people to work in your undersized bathroom at the same time. Schedule their work in a logical order – the tile contractor after the drywall professional, for example.